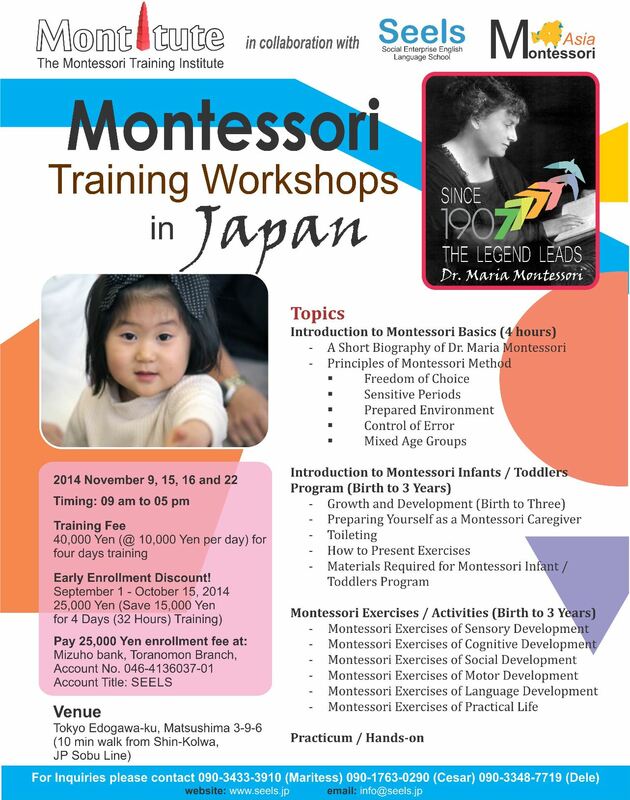 Montitute has planned a series of Montessori training workshops in Japan in various cities in collaboration with Montessori Asia and SEELS (Japan). Following is the the first one of the series. Click on the following image for details and feel free to contact us if you have an queries. 0 responses on "Montessori Training Workshops in Japan"